Here’s another image from that very special Sunday morning in Havana a few weeks ago. 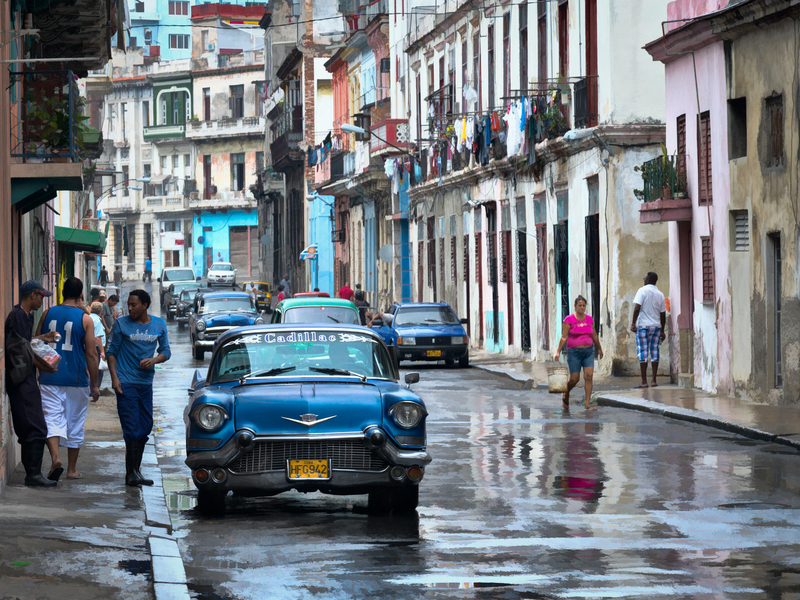 We were out in the Central Havana neighborhood when a bit of light drizzle started falling. Not enough to get any of us particular wet – but enough to wet down the streets and make for some nice reflections and saturation – and some beautiful diffuse, soft light. This image was post-processed using a touch to Topaz Simplify 4 and few of our Lab color tricks to brighten up the colors just a bit.